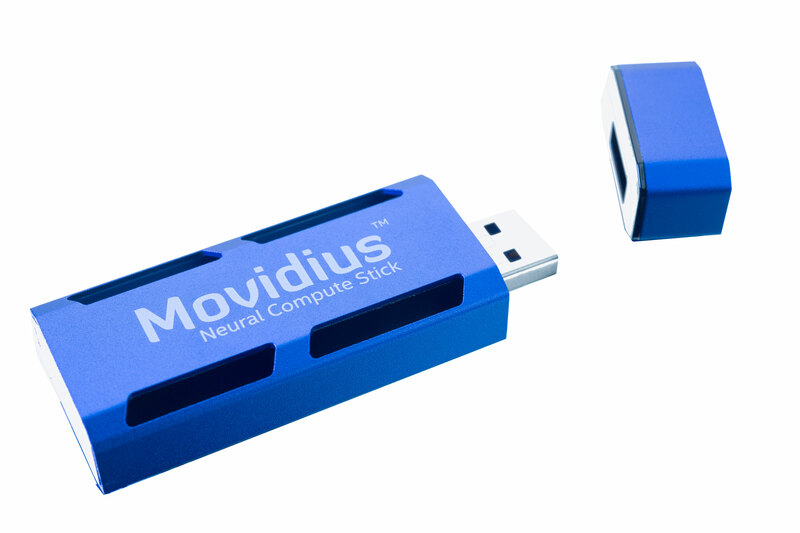 Today, Intel launched the Movidius™ Neural Compute Stick, the world’s first USB-based deep learning inference kit and self-contained artificial intelligence (AI) accelerator that delivers dedicated deep neural network processing capabilities to a wide range of host devices at the edge. 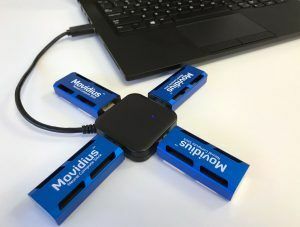 Designed for product developers, researchers and makers, the Movidius Neural Compute Stick aims to reduce barriers to developing, tuning and deploying AI applications by delivering dedicated high-performance deep-neural network processing in a small form factor. Compile : Automatically convert a trained Caffe-based convolutional neural network (CNN) into an embedded neural network optimized to run on the onboard Movidius Myriad 2 VPU. Tune : Layer-by-layer performance metrics for both industry-standard and custom-designed neural networks enable effective tuning for optimal real-world performance at ultra-low power. Validation scripts allow developers to compare the accuracy of the optimized model on the device to the original PC-based model. Accelerate : Unique to Movidius Neural Compute Stick, the device can behave as a discrete neural network accelerator by adding dedicated deep learning inference capabilities to existing computing platforms for improved performance and power efficiency. Movidius Neural Compute Stick is now available for purchase through select distributors for MSRP $79 and at the conference on Computer Vision and Pattern Recognition (CVPR) in Honolulu, Hawaii, from July 22-25. For more details, visit the Movidius developer website. Intel, Movidius, Xeon Intel Nervana and the Intel logo are trademarks of Intel Corporation in the United States and other countries.